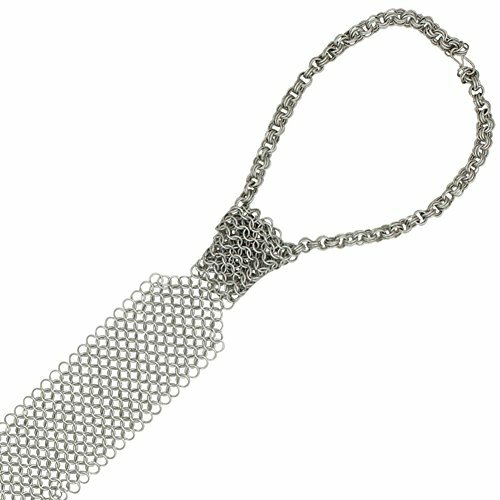 This Novelty Medieval Chainmail Necktie is the original power tie!! It’s also perfect way for D&D fans to exploit a common loophole in the office dress code. You know the one, it usually says something like, “a neck tie is required”. Well, any rules lawyer worth his salt will jump all over the fact that it doesn’t dictate style. 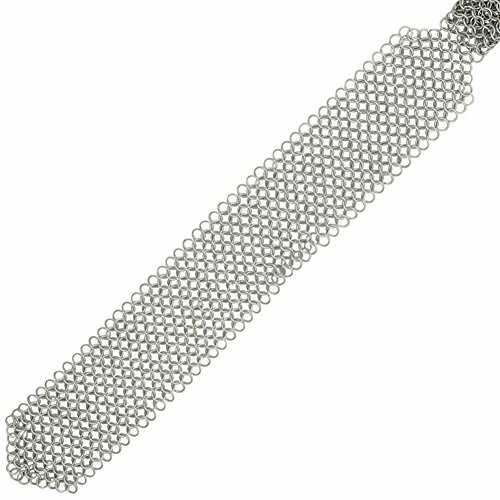 Handmade from butted aluminum rings and featuring a Windsor-style knot, this 22 inch long (56 cm) chainmail tie is perfect to wear around the office during your downtime days (because we all have to eat between adventures). It clasps behind the neck and fits necks up to 18.75 inches in circumference. If you have a smaller neck than that, no problem. Just use some needle-nose pliers to remove rings until it fits. Just remember, if you’re the office wizard, it might interfere with your spellcasting abilities unless you have the right feats. Oh, if you’re more of a rogue-type and appreciate something a bit more subtle, you might like the D20 Necktie instead. It’s a Medieval Chainmail Necktie! What else could you want?